Our Wet ‘n’ Wild boat trip start from Lusty Glaze beach in Newquay. You will get into wetsuits and jump on the back of one of our Yamaha Jet Skis for a taxi ride out to our Boat, Savannah. 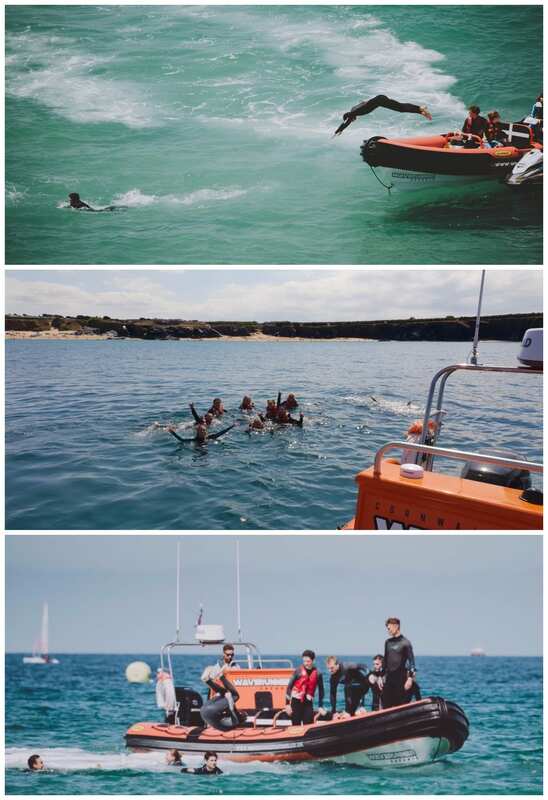 Once you are dropped on the boat, we will take you along the North Cornish coastline to explore the area & hopefully meet some of the locals including Sunfish, Seals, Jellyfish & Dolphins. If the conditions are right, we will stop off in some of our favourite spots along the coastline to jump in & go for a swim. Been on our Wet ‘n’ Wild Boat Trip before? Why not try one of our Jet Ski Safaris?